Mini-Disaster in our house usually means…. there is no flapjack left, we are out of milk, Miss K cannot find a very important item (insert “really not important in the grand scheme of life but a calamity to her”), or a section of the train track has come apart. I quite love the fact that these really are regular disasters in the eyes of my small ones. How simple life can be! Today’s disaster led to a distraught 2 year old. 2. There were not enough oats to make more. So I adapted my semi-famous banana and sultana flapjack recipe by adding flour. 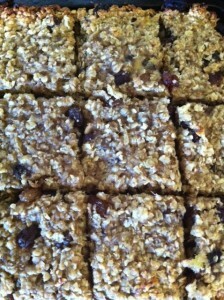 It comes out less of a flapjack and more of an oat bar. Dense, oaty and firm – no crumbly texture here. 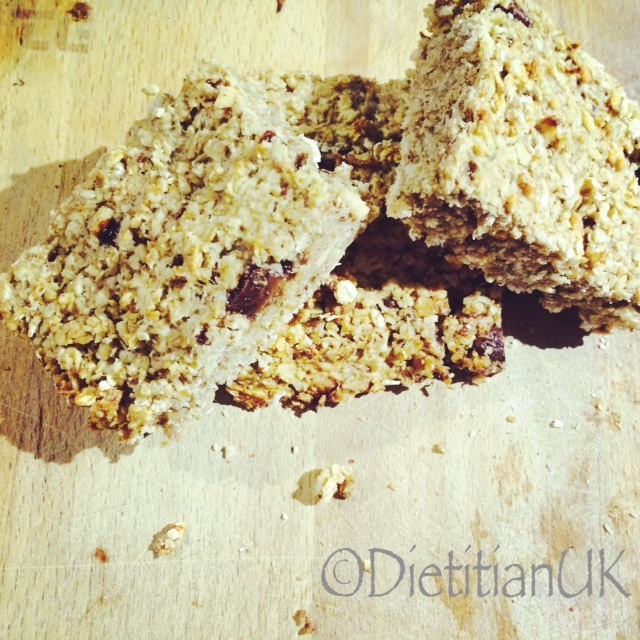 A really good option to have with a cuppa, for lunch boxes or to feed a snacking child. They are sweet but not too sweet, if you know what I mean. 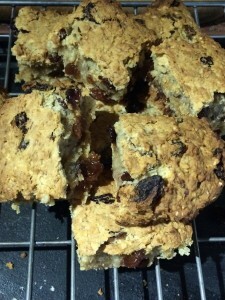 The oats provide that wholegrain goodness, the banana and sultanas pack in the fruit and there is just a hint of honey and butter to bind it all. You know what? I can’t decide but all that really matters is it is healthy and yummy! 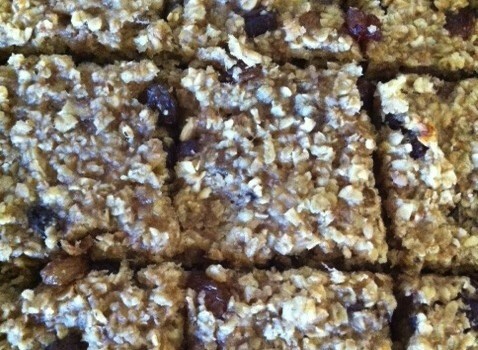 Quick, easy oat bar recipe that is healthy and great for hungry children. Mix the dry ingredients together, by hand or in a food processor/stand mixer. Melt the honey and butter together in a bowl and then add along with the banana. Mix well, I left this for a few minutes in my stand mixer. Press into a lined, greased baking tray, cover the top with foil for half of the cooking time to stop the sultanas getting burnt. Bake at Gas Mark 5 for 20-30 minutes.